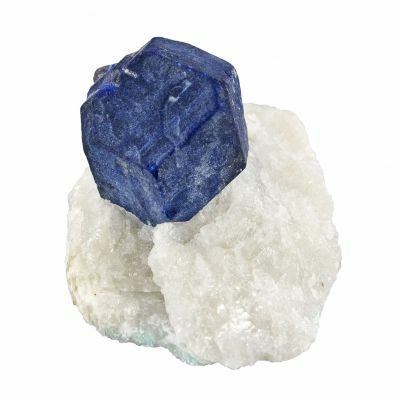 SHARP ! 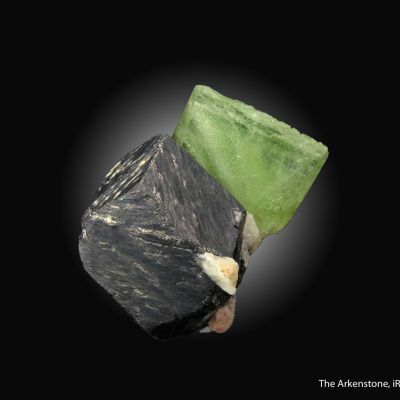 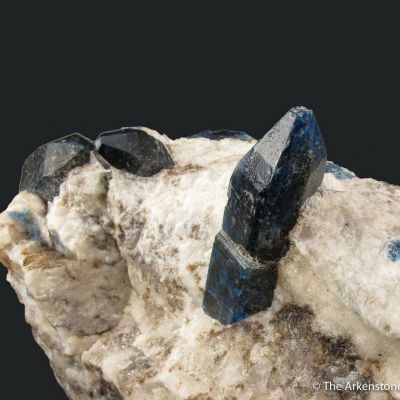 Outstanding combination piece featuring a sharp Lazurite crystal and elongated Forsterite crystal, on matrix. 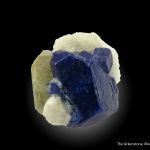 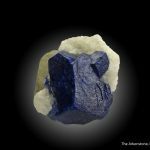 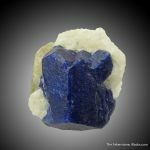 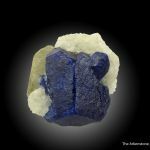 The lustrous, 2.7 cm Lazurite is a superb indigo blue, with an unusual, modified habit that has a ratcheted and beveled end and well-developed prism. 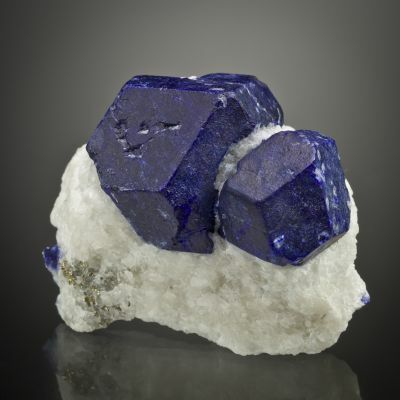 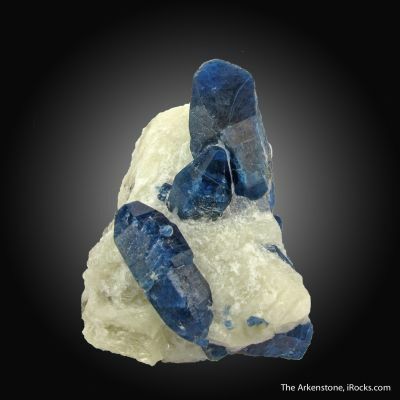 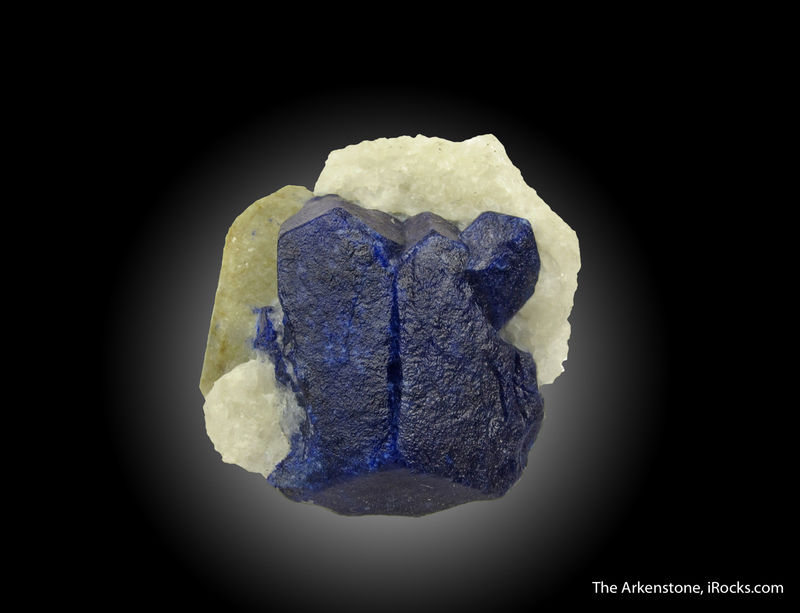 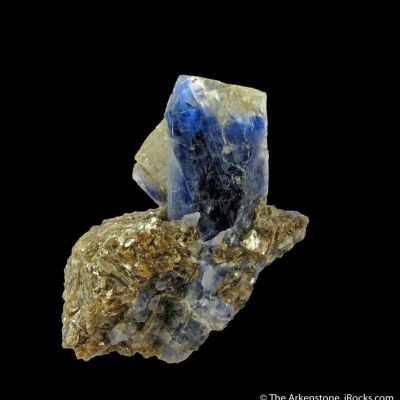 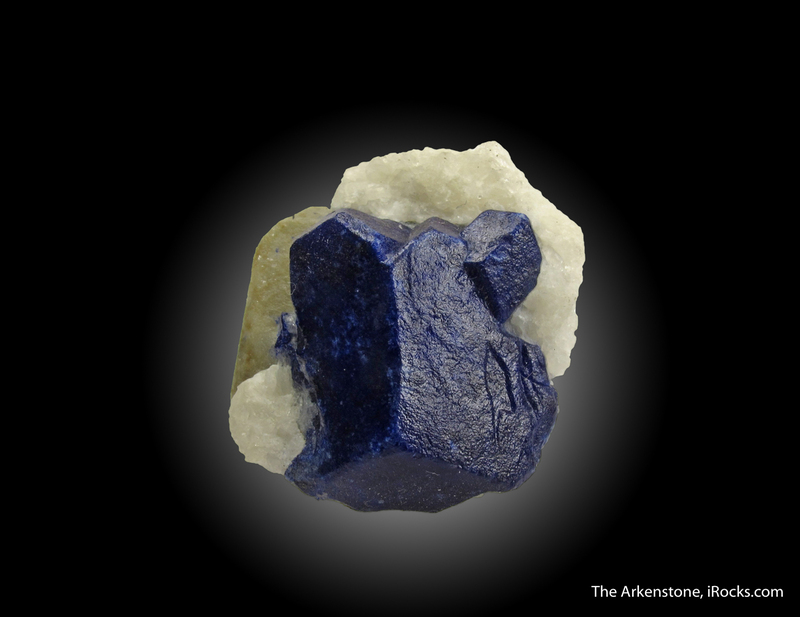 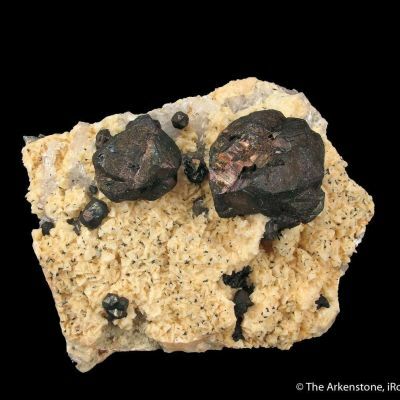 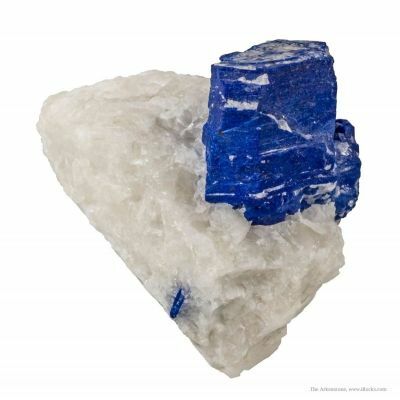 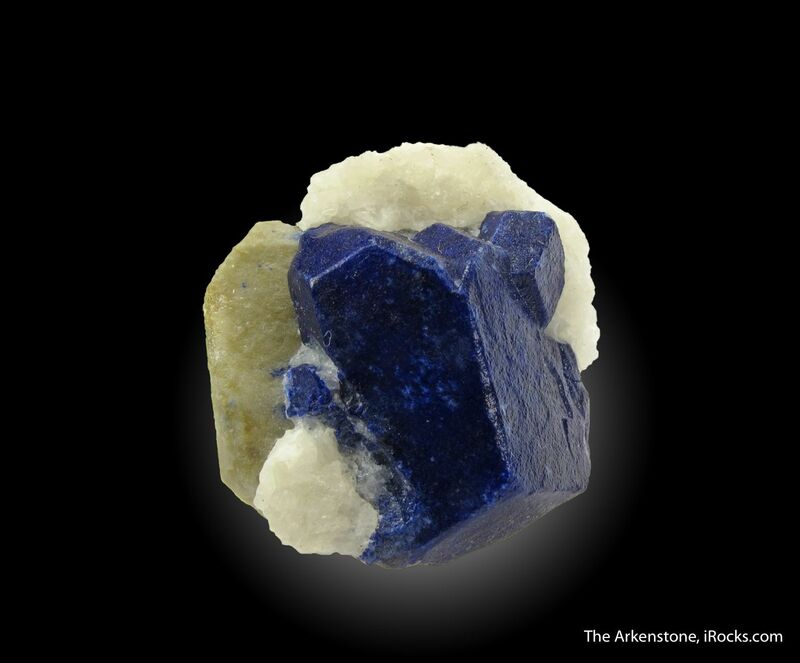 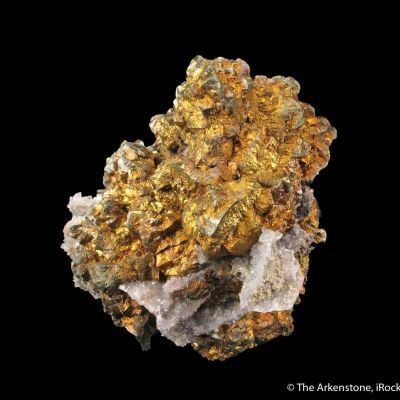 Lazurite, of course, has been used as a decorative stone, and to produce make-up, for thousands of years. 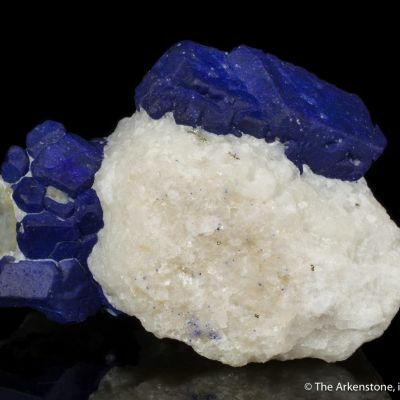 Just ask the Egyptians. 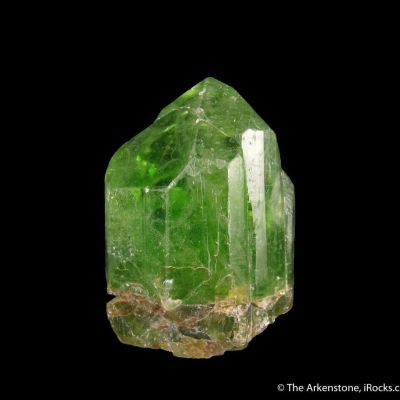 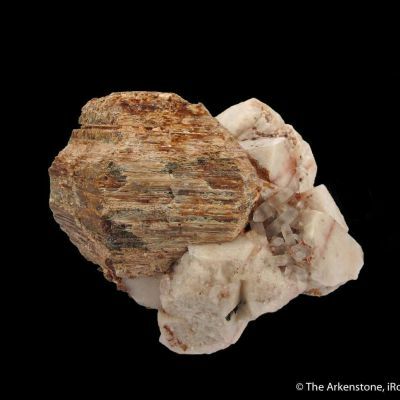 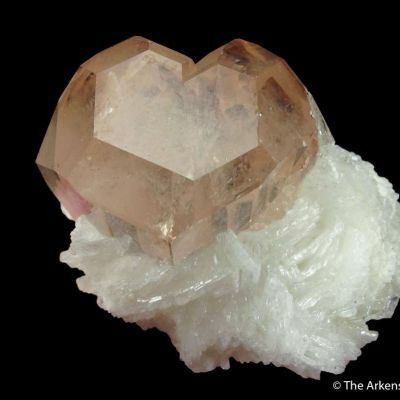 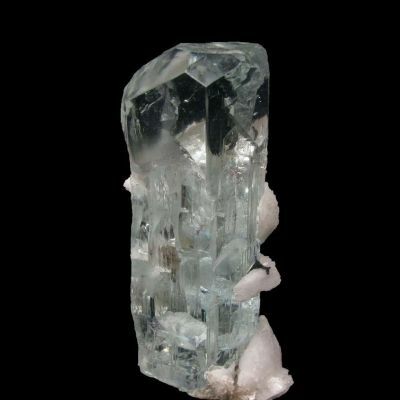 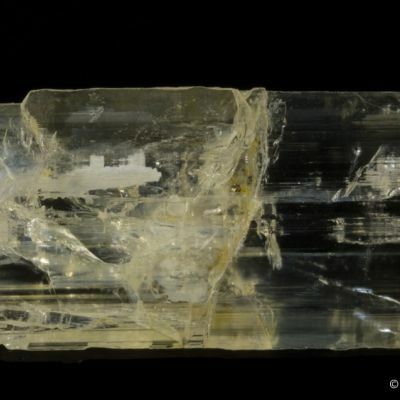 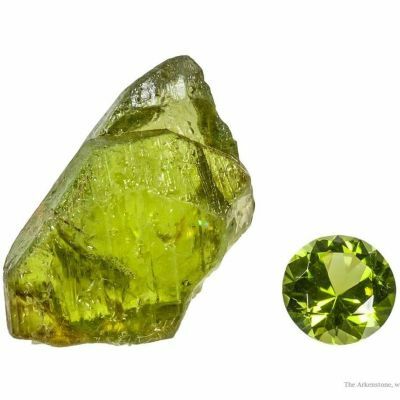 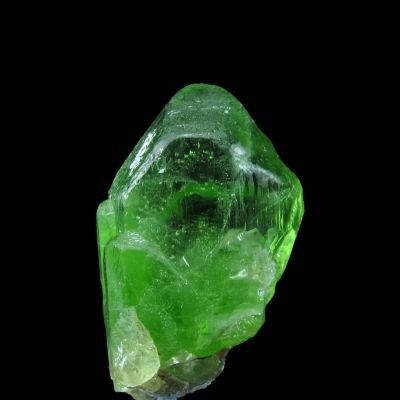 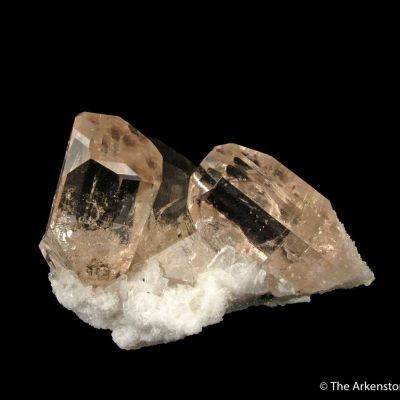 The long, prismatic Forsterite is 2.2 cm. 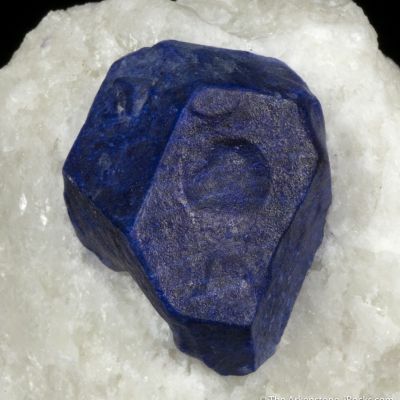 To my eye, the aesthetics are excellent, and this is actually one of my favorite Lazurites in the size range. 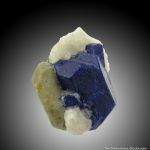 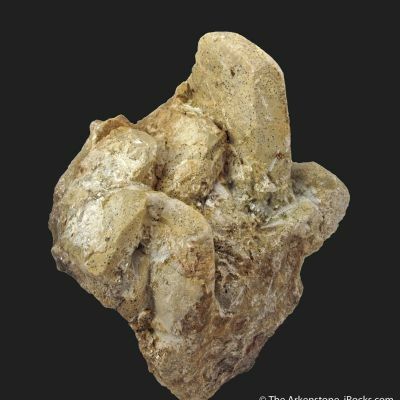 This is the Type Locality for Lazurite.